The case presented a medical mystery. A man had entered his doctor’s office complaining of chest pain, so his doctors ordered an angiogram, an X-ray of the arteries of his heart. His condition was serious: a complete blockage of one of his coronary arteries, and a severe dysfunction of his left ventricle. The doctor realized his patient had been having a heart attack for more than 24 hours. On the face of it, nothing would seem unusual about the case. Heart disease is the number one killer of men and women in the U.S., claiming more than 600,000 lives a year. But this case was different. This man had none of the risk factors. He wasn’t diabetic, or a smoker, and had no hypertension. Even more confounding: he was only 30 years old. He was, however, of South Asian descent—a group that suffers a disproportionate risk of heart problems with no obvious cause, according to cardiologist Sandeep Jauhar. Jauhar writes about that, and the daring and sometimes tragic treatments that revolutionized how we fix the heart, in his new book Heart: A History. He joins guest host Flora Lichtman to talk about it. Read an excerpt of Jauhar’s new book, Heart: A History. Read an interview with Dr. Sandeep Jauhar in The Hindu. FLORA LICHTMAN: This is Science Friday, and I’m Flora Lichtman. Here is a medical mystery for you. A man entered his doctor’s office complaining of chest pain. So his doctors ordered an angiogram, an X-ray of the arteries of his heart. And his condition was serious– a complete blockage of one of his coronary arteries and severe dysfunction of his left ventricle. He’s here with me now in our New York studios. And we have an excerpt of his book up at sciencefriday.com/heart. Welcome to Science Friday, Sandeep. FLORA LICHTMAN: And, listeners, do you have a question about the workings of the heart? Give us a call– 844-724-8255 That’s 844-SCI-TALK or tweet us @scifri. Sandeep, solve this mystery for us. What was going on? SANDEEP JAUHAR: So this was a gentleman who was actually an intern at my hospital. And he presented with chest pain. And, of course, a 30-year-old with no risk factors, never smoked, can’t have coronary disease. As a cardiologist, I completely missed the ball. And what I didn’t appreciate, and I appreciate a lot better since I wrote the book, is that the emotions and emotional health is a key factor in our heart health. So there are a lot of folks who have no classic risk factors for heart disease. Those risk factors are diabetes, high blood pressure, high cholesterol and so on. And those risk factors were elucidated in a large study called the Framingham study. The Framingham study really focused on a very small subset of the American population– basically, 5,000 people living in a small town in Massachusetts called Framingham. And they were mostly white and of Western European descent. It appears that the risk factors for these folks, the so-called classic Framingham risk factors that we use to diagnose heart disease, may not fully apply to other ethnic groups, like, for example, this gentleman who was 30 years old, who was South Asian. And South Asians happen to have a very malignant predisposition to heart disease. FLORA LICHTMAN: Do we know why? SANDEEP JAUHAR: We don’t. We need to do a Framingham type study of South Asians to really get to the answer. But there are factors that the Framingham investigators essentially ignored. This was a large scale public health study. One of the first that looked at chronic disease. And the investigators really wanted to focus on objective factors– stuff that they could measure– high cholesterol, high blood pressure. They deliberately excluded things like marital dysfunction, occupational stress. We know today that those things affect our hearts. In fact, primarily because of Framingham the American Heart Association still does not list emotional stress as a key modifiable risk factor for heart disease. FLORA LICHTMAN: This was one of the big a-ha’s of your book for me that your emotions can really determine your heart health. How well accepted is that? Do doctors look out for that? SANDEEP JAUHAR: I think that doctors are increasingly aware and cognizant of it. But I mean, I’ll be honest– I went through a whole cardiology fellowship, and we talked about compliance of heart chambers. We talked about resistance of blood vessels. But the fact that our emotional lives could affect our hearts was largely ignored. FLORA LICHTMAN: Is that because scientists don’t like emotions? SANDEEP JAUHAR: I think it’s because– it’s partly the history of Framingham. It’s partly that emotional health is not easily measured. It’s a lot easier to take a pill to lower cholesterol than it is to reduce social and emotional disruption. FLORA LICHTMAN: But there is a broken heart syndrome. FLORA LICHTMAN: And this happens if you’re grieving? SANDEEP JAUHAR: Yes it very often happens because of acute emotional distress and very often the shape and the strength of the heart return to normal once the emotional state has resolved. I had a patient whose husband had died a couple of weeks prior. And he had been sick for a long time. He had dementia. So immediately after he died, she was probably– obviously, she’s very sad, but she was probably a little relieved. And it had been a very long illness. But a couple of weeks after the funeral, she looked at his picture, and she got teary. And all of a sudden, she started getting chest pains, shortness of breath. And she went into acute congestive heart failure. And we did an echocardiogram and an ultrasound the heart, and the heart had acutely weakened into this takotsubo shape. And, subsequently, after her emotional state had returned to normal, we did another echocardiogram. And her heart also had returned to normal. So the point I make in my book is that the emotional heart– this heart, this sort of metaphorical object that was supposed to contain the emotions or be the seat of the soul– that entity intersects the biological heart in clear ways but still in mysterious ways. FLORA LICHTMAN: Yes, I mean, the idea that you can truly die have a broken heart is so powerful. And I think validates a lot of people’s lived experience. SANDEEP JAUHAR: Absolutely, I mean, we feel the stress in the center of our chests. And it’s not just acute stress but chronic stress too. So, for example, there have been many studies– for example, the Whitehall Studies that looked at British civil servants. Those who had more occupational stress tended to develop more heart disease irrespective of usual risk factors like blood pressure or cholesterol. So we know that these things do affect our hearts but I think that we need to disseminate that within medicine and try to come up with better ways of ameliorating it. FLORA LICHTMAN: One of the stories you tell in the book is about your grandfather, who died at a very young age. Can you tell us that story? SANDEEP JAUHAR: Yes, my grand– one of the reasons I wrote the book, frankly, is because I have a malignant family history of heart disease. My grandfather was in his early 50s when he died suddenly of a heart attack. Now, the actual story is that he was working in his store in India, and he got bitten by a snake. But he didn’t see the snake, and he was feeling kind of OK. He went home to have lunch. And neighbors knocked on the door and brought in the dead snake, and it turned out that it was a cobra. And he took one look at it, and he started– he became faint. And my father was actually with him, they were sitting together. And my grandfather slumped to the floor and went unconscious. My father witnessed this and he– my grandfather had died. He never regained consciousness. An ambulance came by and the family insisted that they take my grandfather and the snake to the hospital. And the doctor at the hospital said, this man died of a heart attack. He did not die of a snakebite. And like many people who’ve witnessed a sudden death of a family member, honestly, my father never got over it. He grieved for most of his adult life. And as a child, I grew up with this fear of the heart as the executioner of men in the prime of their lives. And that was one of the sort of early fascinations I had that here is this object, here is this machine that works so hard and yet is so vulnerable to stopping that it can extinguish a human life, even though the human is ostensibly healthy. No other organ can do that. You can be healthy and still die. And that to me as a child was like the biggest cheat of all. FLORA LICHTMAN: It seems like the heart has been mysterious in this way for hundreds and hundreds of years. You wrote in the book that it was the last organ to be operated on. 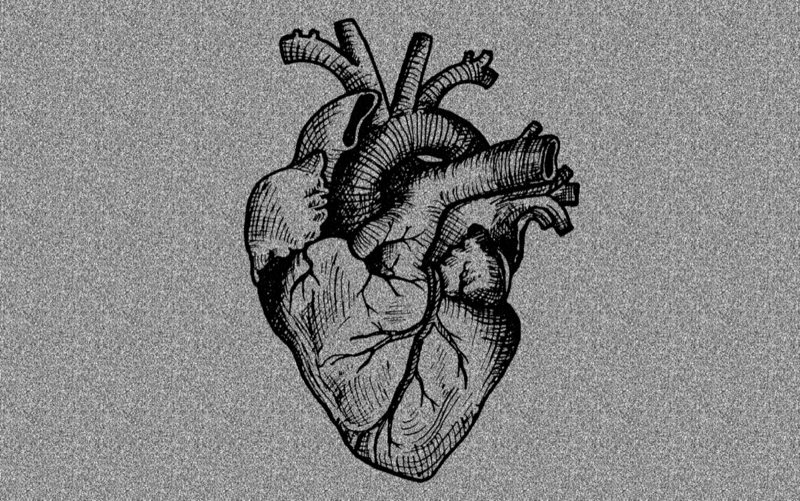 SANDEEP JAUHAR: That’s right, so most people don’t realize that the human heart had never been operated on, at least in any controlled way, up till the latter part of the 19th century. Every other word in the body had been operated on– the brain, the kidney, the liver, but not the heart. Now, why is that? Well, in part, there were cultural prohibitions. The heart was the seat of the soul. It was where emotions resided. The idea of cutting into it was sort of culturally taboo. But the larger issue, frankly, was that the heart poses unique biological obstacles to being manipulated. For one, it’s always moving. It’s very hard to cut into something that’s moving all the time. The other is that it’s constantly filled with blood. In fact, the entire blood supply in the body passes through the heart once a minute. So if you cut it open, you bleed to death. So the obvious solution is that you have to stop the heart and empty it of blood to operate on it. But if you do that, you would develop vital organ damage, like brain damage, within about three minutes. So how do you do this? How do you solve this conundrum? So a significant portion of my book is sort of analyzing this question and explaining how it was done. The obvious solution is that we know today is the heart-lung machine but that took a long time to develop for many, many reasons. So they were sort of kind of outlandish schemes prior to the development the heart-lung machine to address this problem. FLORA LICHTMAN: Yes, I want to talk about this. I’m Flora Lichtman and this is Science Friday from WNYC Studios. Let’s talk about cross circulation because this story really blew my mind. SANDEEP JAUHAR: Yes, so cross circulation was one of the most outlandish schemes probably in all of medical history. It was innervated by, perhaps, the most innovative surgeon of the 20th century, a guy named Walt Lillehei who worked in Minnesota. Many, many people thought he would win the Nobel Prize. He never won the Nobel Prize, but he won pretty much everything short of the Nobel Prize. But his idea was the following. He knew that a pregnant mother supplies blood and oxygen to her fetus. So he reasoned, well, if I have a child that I want to operate on– like let’s say fix a hole inside the heart– why can’t I connect that child up to his or her parent– artery to artery, vein to vein– and have the parent’s circulation take over the child’s circulation while I stop the child’s heart, empty it of blood fix it, and then disconnect the two human beings and hope for the best. And he did these experiments initially on dogs, and the dogs, many of them developed brain damage. So this was exceedingly difficult to do. But, eventually, he got to the point where he was able to do these surgeries with donor dogs and recipient dogs. He would operate on the recipient dog while the donor dog served as a human– well, as an animal heart-lung machine. Eventually, he decided to do this on a child. And the first case was a child named Gregory Glidden. And it turned out that his father had the same blood type. So he spoke to the father and he said this technique has only been done on dogs. But if I had a child in this situation– Gregory had what’s called a ventricular septum defect. He had a hole in the wall separating the two lower chambers of the heart. This was a terminal condition. SANDEEP JAUHAR: –in the 1950s. Yes. FLORA LICHTMAN: This is when? SANDEEP JAUHAR: This was in 1950. FLORA LICHTMAN: Wow, so not that long ago. SANDEEP JAUHAR: It was in the early 1950s. So Gregory– so they did the operation, and, believe it or not, it worked. Lillehei was able to fix the hole in Gregory’s heart. He was a five-year-old boy. And he separated the father from his son. And they both did fine initially but Gregory died of pneumonia several days later. It’s amazing. We tend to forget in this era of medicine that in medicine there’s always a learning curve. And someone has to go first. And in the early 1950s, those who went first typically were a little kids. FLORA LICHTMAN: We’re going to talk lots more when we come back after this short break. We have Sandeep Jauhar with us. And we’re taking your questions– 844-724-8255. That’s 844-SCI-TALK or tweet us @scifri. Stay with us. This is Science Friday, and I’m Flora Lichtman. My guest is Sandeep Jauhar, author of the new book, Heart– A History. He writes about some of the great clinical mysteries of the heart today and the daring discoveries made by early cardiologists. One thing that struck me when I was reading your book is how hard the heart works for us every day, every second of the day. SANDEEP JAUHAR: It’s really amazing. It’s probably the most amazing machine that nature has evolved. So a typical human heart beats about three billion times in a lifetime. It pumps blood through more than 100,000 miles of blood vessels. And a typical human heart works so hard that it could empty a swimming pool in a week. So it’s really one of the hardest working organs in the body. And it’s constantly toiling. And it’s amazing in that it’s self-sustaining. So the heart doesn’t just pump blood to the rest of the body, it pumps blood to itself. So the heart has to pump in order to pump. So it has this sort of self-sustaining, self-referential quality that no other organ has. And so for all those reasons, I’ve just been fascinated by it. FLORA LICHTMAN: How long do heart cells live? Are they the same cells pumping over your entire life? SANDEEP JAUHAR: We think that heart cells are probably terminally differentiated, that they don’t divide. There’s a lot of controversy right now about that, whether cardiac stem cells can regenerate organs. But heart cells can be cultured in a Petri dish and last for many, many months with proper nutrient broth. And what’s interesting is that when the cells were cultured, they tend to aggregate and start beating. So the heart cells just really, really want to beat. FLORA LICHTMAN: That’s what they want to do. SANDEEP JAUHAR: Yes, that’s what they’re designed to do. We have special cells inside our hearts that start to beat spontaneously. They don’t require any external stimulus. FLORA LICHTMAN: Let’s go to the phones. Let’s go to Larry in Wyoming. Hi, Larry. LARRY: OK I developed AFib about a dozen years ago and I’ve noticed that several of my friends have also developed it. I was just wondering what the latest science on AFib is. And I’ll take the [INAUDIBLE]. FLORA LICHTMAN: You got it. SANDEEP JAUHAR: So a famous atrial fibrillation. It’s when the upper chamber start to pump erratically. It’s a very common arrhythmia to have. It’s the most common arrhythmia in older people and people usually can tolerate it pretty well. We have really amazing new techniques to actually terminate atrial fibrillation by actually burning out the cells that seem to subserve it. Those are called ablation techniques. We also have drugs that we can use to control not just atrial fibrillation but then the response to the atrial fibrillation. So it’s a very fertile area. FLORA LICHTMAN: Sandeep, you said that for much of your life this idea that the heart could snuff you out, even though you were healthy haunted you. Did writing the book change your thoughts on the heart or your feelings on the heart? SANDEEP JAUHAR: Well, I’ve been fascinated by the heart for many, many reasons– the family history and the fascinating history of discovery. And then a few years back I learned that I myself have the beginnings of coronary disease. And that was like a ton of bricks. I had two small kids and I thought I was living a pretty healthy life. And so I made some changes, but that fear of sudden death really preoccupied my thinking. I would say that today– several years after I learned this, my mother died of a heart attack. And she had Parkinson’s disease. And she was deteriorating. And I remember my brother once said I hope mom goes quickly. And I remember just being so angry that he said that. I wanted my mom to live for as long as possible. But when she died, suddenly, I just realized– I appreciate what a merciful death it was. And so I think it’s just important that we have so many great technologies in cardiology today that prevents sudden death. Sudden death is sort of a paradox. It’s the most desirable way to die, but it’s also the most feared. And I just think that a lot of the technologies were developed like implantable defibrillators do prevent sudden death but, for some people, they take away that sudden death option. And the sudden death option is not such a bad option for some people. So it’s important for us as cardiologists to talk about this with our patients. It’s not a very easy conversation to have. FLORA LICHTMAN: Your book is wonderful– Heart– A History. We’ve run out of time, but I want to thank you for joining us today. SANDEEP JAUHAR: Thank you, Flora. FLORA LICHTMAN: Sandeep Jauhar is a cardiologist and a New York Times contributing opinion writer and author of the new book, Heart– A History. You can find an excerpt at sciencefriday.com/heart. Graphene shows promise as the “wonder material” of the biomedical world.